INDUSTRY.co.id - Jakarta - President Director of PT Biofarma Juliman insists there is no problem or complaint for the diphtheria vaccine made by his company which is exported to 50 Islamic countries. 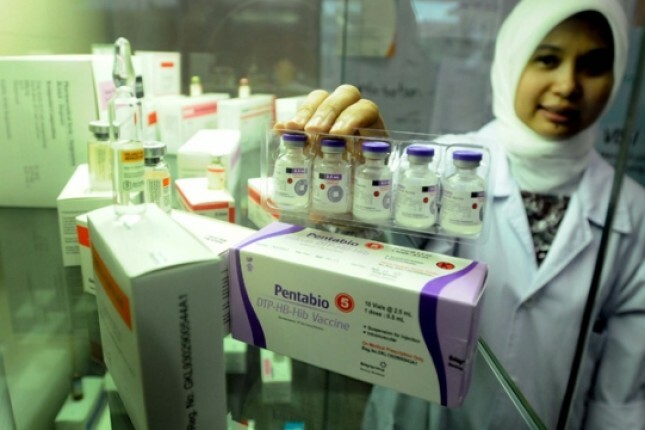 Now it has as many as 136 countries and among which 50 Islamic countries that use the vaccine production of the only vaccine producers in Indonesia. Juliman asserts PT Biofarma produces quality and safe vaccines for the community and all in circulation must pass the test of the Food and Drug Supervisory Agency. The products of PT Biofarma have also been recognized by the World Health Organization (WHO). "Biofarma is the only vaccine manufacturer in Indonesia to date, we are implementing high quality, our products have been recognized by WHO," Juliman said. Every year as much as two billion doses and growing, various vaccines such as diphtheria, polio and measles vaccines are produced by PT Biofarma for domestic and export use. However, due to the extraordinary occurrence of diphtheria, PT Biofarma suspends exports to UNICEF and other countries to prioritize domestic use. "All that we have planned for export we stop first, we ask for a re-schedule, which is important to clean up the outbreak first," he said.